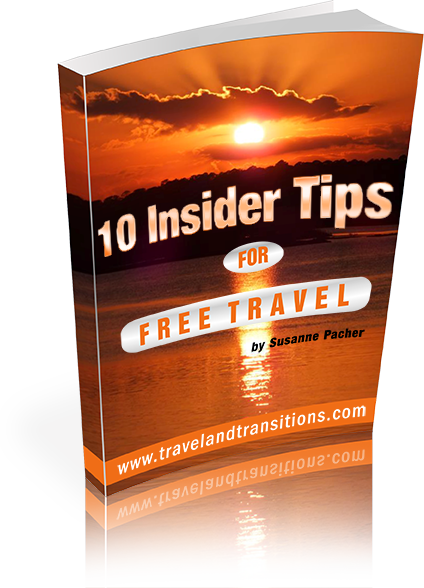 On our second and last day in the Los Angeles area we embarked on a driving tour from Hermosa Beach and drove north near the Pacific Coast. Our first stop was in Marina del Rey, a seaside community that is centered around a harbour with 19 marinas that can hold 5300 boats, the largest constructed small yacht harbour in the world. Marina del Rey has many high-end restaurants that overlook the harbour; it also provides numerous water sports opportunities including sailboat, kayak, motor boat or jet ski rentals. The Catalina Flyer ferry goes from here to Catalina Island. From Marina del Rey we walked westwards towards the Pacific Ocean until we reached Ocean Front Walk. This promenade is lined by a wide sandy beach with the Pacific Ocean on one side, and upscale homes on the other side. Ocean Front Walk is part of Venice Beach, an ocean-front community that is an extremely popular tourist destination. 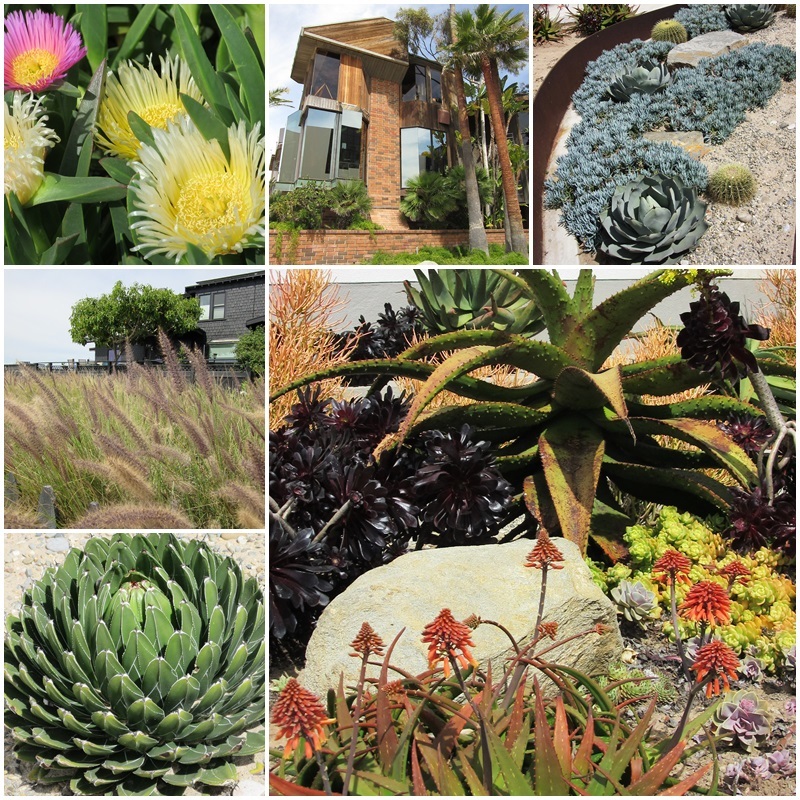 Many of the houses were impeccably landscaped and featured some of the desert plants and succulents that can be found all over California. 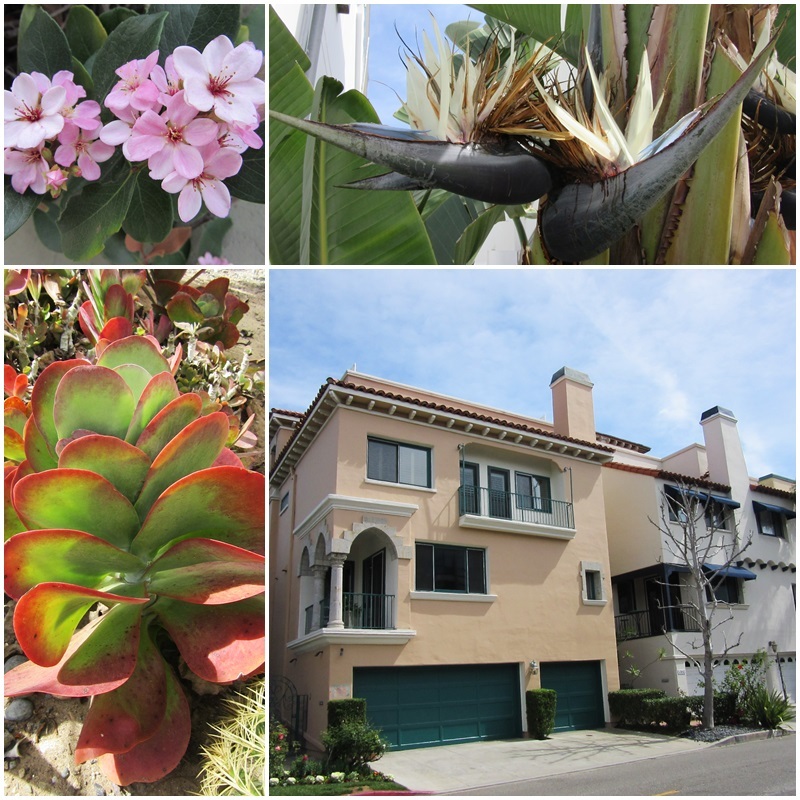 On the way back towards the car we continued to admire the residential styles of Marina del Rey, California. The two streets closest to the long sandy beach are called Speedway and Pacific Avenue and feature many opulent homes and well maintained landscaping. 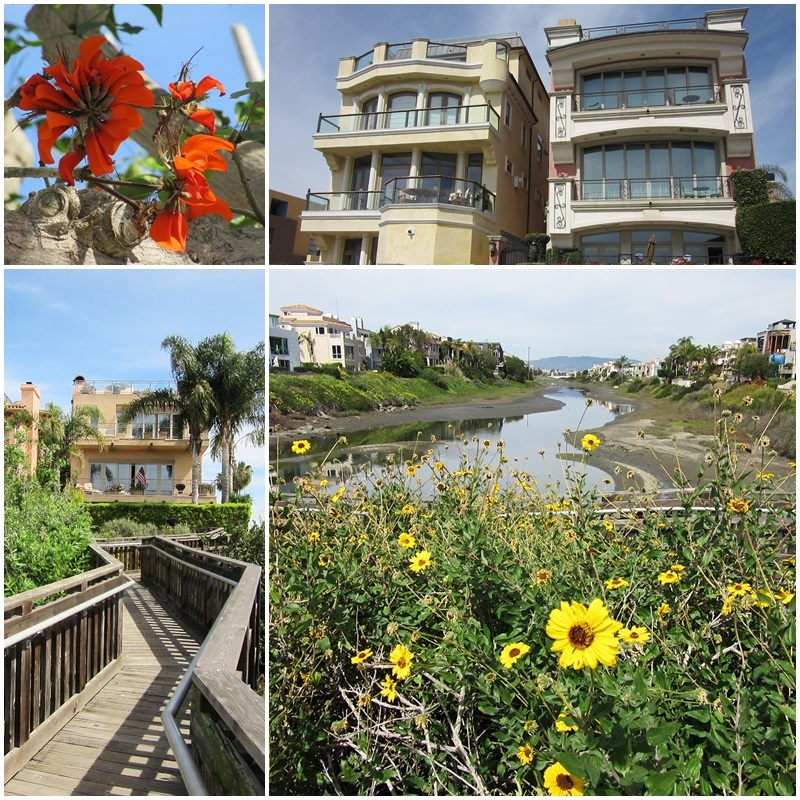 Communities like these epitomize the Southern California lifestyle. After this brief stop it was time to head further north along the Pacific Coast, to one of the Los Angeles’ area’s most famous destinations: Santa Monica.